A work – like a book, a song or a film – is in the public domain when there is no copyright attached to it. This means that you can re-use that work for free, without the need to ask for permission from anyone: you can just copy it and use it. When copyright in a work comes to an end, the work is said to enter the public domain. In many countries, such as the UK, this generally happens 70 years after the last creator’s death, bearing in mind that a work may have several creators. 1) Who created the work? 2) When did the creator die? If the creator died more than 70 years ago, his or her works should be in the public domain and can be used in the creation of new work. For example, if you want to create a video game based on Romeo and Juliet, you need to ask yourself: 1) Who authored Romeo and Juliet? Answer: William Shakespeare. 2) When did William Shakespeare die? Answer: In 1616, more than 70 years ago. 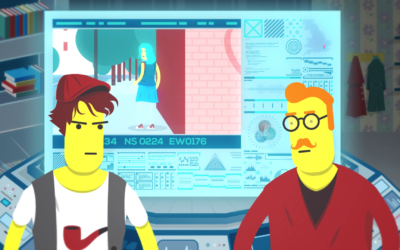 So, you can create a video game based on Romeo and Juliet without the need to ask for permission. Likewise, you can freely write lyrics for a song using words from The Picture of Dorian Gray (Oscar Wilde, 1854 – 1900) or produce a film based on Oliver Twist (Charles Dickens, 1812 – 1870); or you can use the Mona Lisa (Leonardo da Vinci, 1452 – 1519) as your Facebook page background, but if you want to use Dora Maar Seated you will have to wait until 2044 (Pablo Picasso, 1881 – 1973). 1) Different copyright rules apply in different countries, so the rules that matter are the rules of your own country (in legal terms: copyright law is territorial). Therefore, the fact that a work is in the public domain in another country like the United States does not necessarily mean that it is in the public domain in the UK as well. Actually, the US and the UK have different rules as to when works enter the public domain. For a guide to the copyright term and the public domain in the US, take a look at this useful resource produced by the Cornell Copyright Information Centre: http://copyright.cornell.edu/resources/publicdomain.cfm. 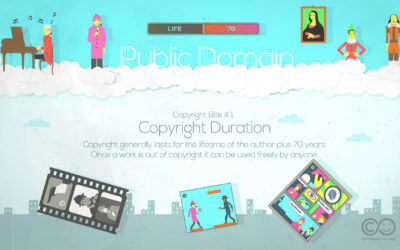 For a resource to help you calculate whether a work in the UK is in the public domain, see here: www.outofcopyright.eu. 2) A reproduction or recording of a work will often qualify for copyright itself. That is, a piece of music and a sound recording of that piece of music are two different types of work with two different copyrights. Therefore, the fact that a musical composition is in the public domain does not mean that a recording of that music is in the public domain as well. So if you want to use a Mozart composition in your video, you need to find a sound recording of that composition that is free to use. 3) A new adaptation or version of a public domain work will be copyright protected, even though the original work is not. For example, the film Romeo + Juliet starring Leonardo Di Caprio and Shakespeare’s famous play are two different works: the former is protected by copyright because its creator is still alive, whereas the latter is in the public domain as Shakespeare died more than 70 years ago. So, if you want to create a video making use of clips from the film Romeo + Juliet you need to get permission from the copyright owner. However, if you want to produce a new film based on the Shakespeare play you are free to do so. Another good example is the Bible, the original text of which is in the public domain (its original authors died quite a long time ago). However, many of its adaptations and translations, like the Good News Bible (New International Version), still enjoy copyright, meaning that if you intend to re-use that particular version of the Bible you need to get permission from the copyright owners. These two questions and three rules should be helpful when you want to figure out whether a work is in the public domain and whether it can be used without infringing copyright. However, you need to be especially careful when dealing with films, music and photographic reproductions of works of art. 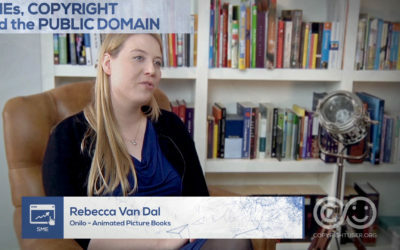 You also need to be aware of other types of rights that might affect when you can make use of works in the public domain. We consider these issues next. Copyright in the film expires 70 years from the end of the calendar year in which the last person listed above dies. A good source of freely available films is the Prelinger Archives, a collection of movies that are supposed to be in the public domain in the US. However, remember that copyright law is territorial. So, while a film from this archive might be in the public domain in the US, it may still be in copyright in the UK, and identifying the copyright owner may not always be easy. Indeed, many of the films contained in the Prelinger Archives are orphan works: works that are in copyright but whose copyright owner is unknown or cannot be traced. Fortunately, there are some films in the Archive that we can definitely say are in the public domain in the UK. For example, Le Voyage dans la lune is a silent movie in which there is neither dialogue nor music; moreover, the director and author of the screenplay is the same person: Georges Méliès (1861 – 1938), who died more than 70 years ago. You can safely make use of Le Voyage dans la lune in any way you like. The copyright duration of composed music is the same as for books, paintings and other literary and artistic works: the author’s lifetime + 70 years. Therefore, the musical compositions of old masters like Beethoven (1770 – 1827) or Mozart (1756 – 1791) are all in the public domain and you can freely use them. However, as mentioned above, you need to keep in mind that a musical composition and a sound recording are two different works: even if the former is in the public domain the latter may be still protected by copyright. So, if you want to create a video using one of Beethoven’s compositions you need to find a recording of that composition that is free to use. A good source of freely available sound recordings is Incompetech, a collection of songs produced by the American artist Kevin MacLeod and distributed under a Creative Commons licence. You can freely use all the songs originally produced by Kevin MacLeod under the only condition of crediting him. But you have to be careful when the song is a reproduction of another composition because – again – copyright law is territorial. So, you can freely use Kevin MacLeod’s recordings of Beethoven compositions, because Beethoven’s work is in the public domain in the UK, but, you cannot use, for example, Richard Strauss’s Also Sprach Zarathustra: this composition is in the public domain in the US because it was published before 1923, but not in the UK as Richard Strauss (1864 – 1949) died less than 70 years ago. Galleries and museums often generate income by licensing the use of photographs of famous works of art from their collections. That is, while the artworks themselves are often in the public domain, the galleries claim copyright in their photographs of those artworks. This is considered by some to be controversial, especially when dealing with a photograph of a two-dimensional work of art such as a painting. And, this is an issue that has become more complicated in the UK because of the influence of European copyright law. At the moment, the situation in the UK appears to be that photographic reproductions of paintings (and other two-dimensional works of art) made before 1 July 1995 are probably protected by copyright, whereas photographic reproductions made on or after 1 July 1995 are probably not. However, photographs of three-dimensional works of art, such as a piece of sculpture, are probably protected by copyright regardless of when they were taken. Given the uncertain copyright status of these photographic reproductions, if you want to make use of a photograph of a famous work of art the best thing to do is to search for one that is free to use. A good source for this is Wikimedia Commons, a database of millions of freely usable media files, like images, sounds and videos. For example, the Mona Lisa is in the public domain because Leonardo da Vinci died more than 70 years ago, but you can also find photographs of the Mona Lisa that are free to use here. It is important to know that while a work per se might come out of copyright, some of its elements – like the literary characters – may remain protected by other forms of intellectual property, particularly trade mark law. The case of Tyburn Productions Ltd v Conan Doyle  Ch. 75 affirmed the traditional view that English law does not recognise copyright in the literary features of fictional characters. However, literary characters, represented by their names and drawings primarily, can be protected under trade mark law. This means that if you were to create a video game using a character taken from a public domain work, you could still be breaching trade mark law. For example, many of the names and illustrations from Beatrix Potter’s children’s books have been registered as trade marks, although her work is out of copyright (Beatrix Potter, 1866 – 1943). It is also important to note that the more famous the character or film is, the more difficult it can be to register it as a trade mark. To deal with this apparent paradox creators now often register their literary characters as trade marks before they become famous, which could create a problem for anyone who wants to use those characters when copyright expires and the work falls into the public domain. Another relevant consideration to bear in mind when dealing with public domain materials is that collections of public domain works can be protected by copyright. For example, even though Leonardo da Vinci’s individual paintings are in the public domain, a book containing a selection of his work presented in a particular order might be protected as a new work. This means that you will be able to re-use the individual images, but if you want to copy or distribute the complete collection you will need to get permission from the copyright owners of the book.